Located in Orillia, Jessco Overhead Doors has been serving you since 1989. We have built a base of loyal customers thanks to our quality products and efficient service. We are proud to provide all of our customers with a wide selection of standard and custom garage doors. We can meet any garage door need, whether residential, industrial, commercial, or agricultural. From traditional to raised-panel designs, we turn to one of North America’s leading manufacturers for all of our garage doors: Garaga. Built right here in Canada, Garaga garage doors are tough enough to stand up to our harsh winters. Ask us about our high R-value insulated garage doors! To see our full line of products, please visit our image gallery. For more information, call 705-325-2568. We provide free at-home estimates as well as design consulting services. Already know which door you wish to buy? Complete our online form for a quick, no obligation quote. Did you know that over 70% of today’s homeowners use their garage door as a primary point of entry into their home? This is largely due to safe, easy-to-use garage door openers. To ensure customer satisfaction, we carry LiftMaster products, the number one brand of overhead door openers. These electric openers are manufactured by Chamberlain, and made to outlast the competition. LiftMaster products can be customized with a variety of accessories like motion detectors, timers and Wi-Fi connectivity apps. Each opener comes equipped with safety sensors which automatically reverses your door if an item interrupts the beam. Give your garage door system an upgrade with a new residential or commercial LiftMaster opener. See our image gallery for more information. Call Jessco Overhead Doors today and let our experts help you make your selection. We will happily advise you on which electric opener and accessories best suit your garage door. At Jessco Overhead Doors, excellent workmanship is our priority. 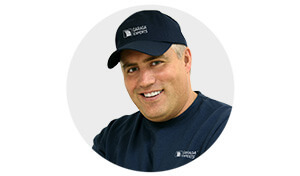 Garaga also understands the importance of a professional garage door installation – that’s why they have created their Garaga Expert Network. As a proud member, we will make sure your new garage door is installed according to the strictest safety standards in the industry. Our customers can rely on 24 hour emergency repair service for all types of sectional overhead doors and door openers. Looking to keep expensive repairs at bay? Schedule an annual preventive maintenance program. Since our work is fully guaranteed, you know you can count on us for your next garage door installation, repair or maintenance. Located at 1877, Division Road E, Orillia, ON, we serve homeowners in Orillia, Gravenhurst, Barrie and surrounding communities. Get a free consultation today! Call us at 705-325-2568. We look forward to making you one of our valued customers!